Respect For People is a crucial part of lean and A3. Lean guru Bill Greider tells how A3 teams can implement continuous improvement in an organization. Bill heads P4 Lean Strategy Consulting, coaching companies on using A3 teams to eliminate accidents, increase production and rectify customer issues. The A3 exercise employs Respect For People, which originated with TPS (The Toyota Production System). A3 is a way to problem solve, named after a European paper standard size. A3 is about the same size as 11 x 17 sheets in the U.S. Our podcast guest says to lay out your problem on an A3 sized sheet of paper. Then process the problem with DMAIC—Define, Measure, Analyze, Improve and Control. Mr. Greider offers valuable lean blogs weekly. Scroll to near the bottom of this page for a link. Bill Greider: It’s not easy to truly show respect for people, and it’s very easy for our habits, that we develop over our careers, to creep in. Dan Clark: Do people respect you at work? Do you respect other people at work? Both can have an effect on organization and safety. Hello, I’m Dan Clark. Today we’re talking with Bill Greider of P4 Lean Strategy Consulting. Bill is a respected leader in lean thinking and coaches groups towards continuous improvement and lean Sigma programs. Hello, Bill! Dan: I’m really doing well. Today you want to talk about Respect For People vs. A3 And Safety. Now, before you do, though, I have to say, you have an amazing, diverse history. A degree in chemistry, a college professor and a college football referee. How do you do all this? Bill: I think variety is the spice of life, Dan. You do what’s important to you, and those happen to be the things that are important to me. Dan: Wow that’s great. We live in a world where you can do all the things you love. Bill: I think football’s first. Lean and Toyota Production Systems probably second. Dan: And chemistry’s down there ‘cause you had to study so much? Dan: So let’s get on to this topic that you wanted to talk about, Respect For People vs. A3 And Safety. But for those that are new to it, A3 is a way to problem solve and it’s named after a European paper standard size, A3, which is about the same size as 11 x 17 sheets here in the U.S. So, please, before we get too deep into this, tell us a bit more about A3. Bill: Yes. 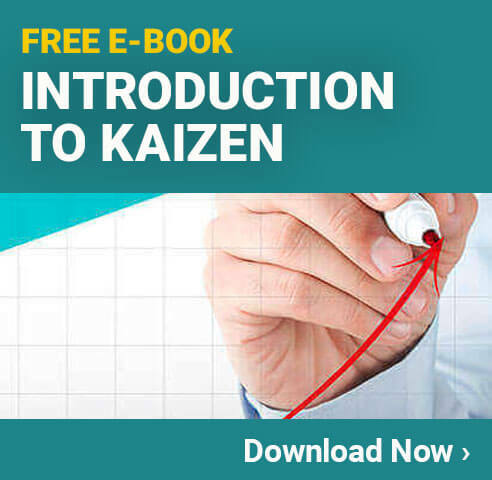 Conventional lean is really about three or four day kaizen events where, in my own company, I really had a hard time really accelerating our improvement activity only because it was just so infrequent, and it just didn’t seem like we were getting the footing we wanted. I started to study Taiichi Ohno, and—in the 50s—and how they did improvements. And it wasn’t very much unlike the concept of Scrum or Agile in the programming world, where the self-directed work teams that were pretty much autonomous would take on bite-sized improvements all around the company. Dan: In your own company? Bill: With about 70 employees. The reason I do what I do now, and the reason I’m pretty passionate about it, is the fact that we were able to grow from $20 million to about $32 million in sales over a three year period without adding any people. Bill: And to me that’s the definition of productivity and wealth. And that’s really the reason why I do what I do now, trying to help other companies use this self-directed work team. Using A3 as a vehicle where you’re teaching people how to use the scientific method, DMAIC, to define small problems, hard problems, easy problems, but just a lot of problems. Dan: DMAIC. It’s Define, Measure, Analyze, Improve and Control. Bill: Exactly, and that’s, kind of, how the sheet itself—the A3—is laid out. It’s laid out exactly that, where each box is one piece of DMAIC. So people learn how to use the scientific method to solve everything from customer complaints, to employee suggestions, to near-misses, in terms of health and safety. Dan: And so you just get a diverse group of people, and meet about an issue, and then you lay it out on this A3 sheet to go through these five steps. Is that how it works? Bill: Exactly. And it’s a very fast cycle. Typical A3 problems are solved between five and eight days. Bill: The team is level loading—applying the concept of haijunka—to improvement activity. So, the thinking is that “Can we get every single person in a company from corner to corner to think about getting better for 15 minutes a day?” That’s part of their standardized work, but every single day. And part of that 15 minute dedication is getting together with three to five of their peers to go after a specific problem. Dan: This is all about “respect for people” and A3. Respect for people is part of the old Toyota Production System, and it’s a very important part of it. Dan: So, blend those together for us, now. Bill: Dan, I think it’s very important…you know, I, kind of, differentiate American lean and the Toyota Production System. And I think as Americans we gloss over the two main pillars of the Toyota Production System. One is continuous improvement. Bill: And when we talk about continuous, we’re talking about really continuous. Not “once in a while,” or “when we have time,” or anything like that. And the other pillar is respect for people. And again, we kind of gloss over that too. And I think we have a different mindset with regard to respect for people. Different than what Toyota had in mind. And I’d like to, kind of, go through how people…how we can demonstrate and practice respect for people in order to achieve the improvements that are really going to make a difference to our bottom lines in our businesses. Dan: So, in the workplace, respect for people more than just at the Christmas party. Bill: That’s exactly it, Dan. I think, in a lot of cases, we correlate respect for people with being nice to people, or not talking a certain way to people. I don’t think that’s fully understood. I think it’s very complex, and I think it takes a lot of practice. Respect for people. Dan: If you have an A3 session and you have a diverse group—managers, to first hires, new, young people—how does the respect for people angle work in this A3 environment? Bill: Well, first, and primarily, the person that owns the A3 is the person who actually does the work. So the first step is that it’s disrespectful for me to fix your process. You know, I believe that people that do the same job every day for weeks, years, decades sometimes, they are the world’s experts in that process. I, myself, as a senior leader for my company, and part owner, are pretty much unqualified to go and fix people’s processes. So, I think the first and most important concept with respect for people is that it’s disrespectful for me to fix your process. Dan: So, when you’re having this A3 session and the respect for people does or doesn’t happen, how do those impact safety? Bill: In terms of A3, I think many of the projects that are on my clients’ A3 boards are exactly that. They’re about near-misses, or possibly an accident. And the person that leads the A3 is the person that was nearly injured or was, in some cases, injured. They pull together a group of three to five of their peers, and they go through DMAIC and implement a countermeasure to make sure it doesn’t happen again. And I think the most significant part of the A3 process is what we call the yokoten—the closing. Bill: “Every other time we have a closing, we’re talking about safety.” So, it gives the safety directors a chance to editorialize after the closing’s over and, kind of, remind people. I found myself, as a business owner, kind of punitive in terms of how I implemented safety in my business. In terms of people wearing protective equipment or they didn’t have their safety goggles on. And it, kind of, went toward transfer of ownership and people started to understand why it’s important. And once people start to feel it’s important, and they own it, you don’t have to enforce anything anymore. Bill: In my business I wanted to transfer that thinking to a group of people that has as much passion for the customer as the owners do. Owners will do anything to make customers happy. What would it be like to have a population of people that had that same mindset, where it went way beyond job descriptions? Dan: And how do you motivate these employees to get away from employeeism? Bill: Well, I think the self-directed work teams is a really good way to do that. Toyota, they measure morale by the number of employee suggestions. Bill: And that’s how they motivate, and they measure it. Because I used to think about “people seemed down” or “morale isn’t high.” Well, how do you measure that? What kind of meter can you use? And then I understood that Toyota measures it by the number employee suggestions and they would average 1200, 1500 a week. And I looked at my suggestion box and I saw one or two suggestions a year. Bill: And whatever they start saying, write down, because generally it’s not selfish. It’s not about them. It’s about their process and what slows them down. And once you, they take that project on, they pull together the resources they need to make it happen, and then they teach their peers what they did, you’ve, kind of, given them ownership. Not that you’ve given it to them, but they’ve assumed ownership. It’s now their process. Dan: They take pride in that change, that have a voice in the process. Bill: Exactly, and, you know, I think we went from a company full of employee and employeeism. Uhm, my company which I sold out in 2012 to do what I do now—or 2011, I’m sorry—we were named one of the best companies to work for four times. Dan: Tell me about these A3 sessions that you had when you went from just a few to over 300 in one year. Did the employee suggestion box suddenly overflow with all of these different suggestions because of this momentum you had? Bill: Well, you know, like anything else, there’s going to be a few early adopters. With my clients I do what we call an “index card exercise” where you hand everybody an index card and you, kind of, got to go see each and every person. You gotta go to gemba, you gotta go to where they work. Bill: And you basically ask them that question. “If you owned the company right now, what’s the one change would make in your work right now?” And then you give them about a week think about it. And then you go back and check in and make sure that they’ve thought about it. Those index cards are, kind of, your starter set of projects for your A3. The thing that I learned in doing A3—I’ve probably done 10,000 or more in terms of my own company and also with the seven companies that I work with now—you don’t know where genius will come from in your company. Bill: You don’t know if it’s going to be the shipping clerk, or you don’t know if it’s going to be your PhD chemist, or an engineer, or, it’s very satisfying to understand that, in their own way, most people—not most, pretty much everyone—wants to make a contribution. Pretty much everybody is smart, and pretty much everyone cares. Dan: Well, they want to be loved. That’s a human emotion. Dan: And any kind of recognition is going to make somebody feel a lot better in their workplace. So, it sounds like you really built this momentum throughout that time. Bill: Well, Dan, I think the closing itself is, you know, when you talk about a payback for the employees, there’s nothing like the end of the closing. The round of applause, the pats on the back, the high-fives. Bill: Toyota says over and over that, “Hey, our mission is not to build automobiles.” And we really can’t gloss over what Toyota has done, even last year. If you look at their financials from last year , I think they’re a company worth emulating. But, at the end of the closing, you definitely feel like there’s a bunch ownership that’s been transferred, and people definitely feel like they own the company. As leaders, it’s our responsibility to make sure we keep them right there. Because, a lot of things that we say and do—and a lot of it has to respect for people—We take them from that high, because I did it (laughs). And I sabotaged my own progress months at a time by saying the wrong thing, or not following up, or… So, that’s a lot, what, about what the respect for people is. Dan: Oh, so you had some of these great successes, and then, somehow, you shifted gears or ignored some of the comments and suggestions? Bill: Oh, absolutely. You know, the first time, uhm, I’ll give you a perfect example. One of our salespeople would call me and say “Listen, we need an order out today because we need it in, ah, Kansas City on Thursday.” And, you know, we make polymer floors, epoxy flooring. They’d call me, and I’d go out into the plant and I’d say to the guys “Listen, I need it out.” And they’d say to me “Well, this guy had to go home” or “The machine’s down”, or, and I’d say “I don’t care how you have to do it, just get it done.” And I’d walk away. And they’d get it done. So, your old habits creep in over time. It’s not easy to truly show respect for people, and it’s very easy for our habits that we develop over our careers to creep in. Dan: So, let me ask you, on that particular sequence, what would you have done differently in order to achieve the same goal? Bill: I think I would be..I would have walked out into the production area and asked the guys that were actually responsible for making the order, and I would ask them what they needed, and then “What can we do to help you, and is there any possible way?” And I probably would have tried to convince them of the importance of that order going out today. But, the problem was I was reinforced, because when I went back to my office that same salesperson called back and told me what a great leader I am, and “Thank god for you.” You know, I realized that I sabotaged probably three or four months worth of work and trust. Dan: Because, at that point, the end was justifying the means, but for the next order, you weren’t going to have the same success with your employees. Bill: Exactly, or I would ask that person who called me—that salesperson—we’d have like a little bit of a conference call with the guys on the floor, so everybody can be on the same page. Dan: Did you get in there, and roll your sleeves up, and get on the floor and help these guys out if they were a man short? Bill: Absolutely, and that’s, kind of, what ownership is. There’s nobody more or less important in any business than anybody else. The people that package materials are as important as the vice president. The only difference is you get to park in front, and bigger office, and all that, but can you really survive without any link in the chain? And, I think that’s part of the respect for people also, is understanding our role. Because it’s so easy to point fingers. Instead of the Five Whys, the Five Whos. You know, if you understand your role, you know, my role as vice president operations was no more or less important than anybody else. Then, if someone made a mistake, it wasn’t because they didn’t care, or they weren’t smart. It was, basically, because I did not train them well enough. And I think it’s a real mirror looking exercise to really understand respect for people. If they make a mistake, it’s because I didn’t train them well enough, or because I do not communicate the importance well enough. Dan: Oh, that’s a good one. It takes me a moment to figure out what you just said. Bill: (laughs) I like that too. Dan: Well, I know that we don’t have a lot of time here left, but I do want to ask a couple more things. Now, you are college football ref. Have you ever been asked by a coach for lean or A3 help with the team, and do those procedures translate the sports? Bill: Well, Dan, I think it’s absolutely the opposite. Over the course of 28 or 29 years officiating, I’ve had the opportunity to see some extraordinary coaches, and how they handle themselves. And it’s not really crisis, it’s football. And I’ve also seen coaches that, that may not conduct themselves in the most professional manner with regard to communication with their team and also, with us, as a seven man officiating crew. Bill: I seen a lot of them. Dan: Well, do you have any final thoughts for the first time safety manager looking to implement A3, problem solving systems? Bill: Yeah, I think it’s… The only thing you can do wrong, in terms of A3 and lean, is “there’s no right or wrong.” It’s learn by doing. 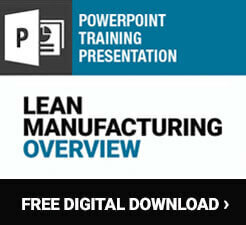 One of the things that I did, I spent a year or so getting everybody up to speed on lean concepts. We had structured classes where everybody read books together, and did quizzes, and we did mapping exercises. My advice would be: just do it. Because that’s what a learning really comes from. And when I say “just do it,” I don’t mean periodically, but try to make it part of your standardized work every day. You know, even if it’s 15, 20 minutes, start doing it. If you go online, there’s plenty of resources in terms of YouTube, and you pick up a book or two. And don’t really worry about form as much as function. Dan: So, that A3 sheet can be a scribbled mess. Dan: As long as it’s legible and you can pass it on to the rest of the team. Bill: …and oil and, and, you name it, on it. And a lot of it is the script for your closing, because a lot happens in those 15-20 minute meetings. And you don’t want to lose that when you’re trying to teach your peers what you did. Because, what I think one of the ultimate complements you can give any business is that they’re a learning organization. Snippets of our business are being taught to everyone. So, it’s not about form, it’s not about pretty. It’s about “just do it.” And once you start doing it, you get really good at it. I’ll give you an example. You know, we have machinists that I work with today that are world-class in root-cause analysis. Better than any consultant, better than, than many professionals because they do a lot of it. Bill: They do root-cause 75-80 times a year, either leading a team or being on other people’s teams. You get pretty darn good at. Dan: Well, I suppose so, and if you’re participating in a team you have some of the social skills that are built with that as well, and so that’s true leadership right there. Bill: I’m, exactly, and that’s the way our customers are forced to deal with us. They don’t deal with us top-down, like we like to think about our businesses. They’re forced to deal with a cross functional team from many different silos, and so that’s what A3 does. You’re picking someone from accounting, someone from marketing, someone from IT, someone from engineering and they’re working together to solve problems. Dan: That’s great Bill. I hate to, but it’s time for us to go, and before we do, I want to give you a chance to hammer home a plug with your website. Go ahead, give it to us. Bill: Sure, Dan. My website is www.P4leanstrategy.com. Largely, I have about 60,000 blog views now. I’ve got a little bit of a fan base, which I’m, kind of, embarrassed to talk about. And I blog three times a week. Find it on Twitter. LinkedIn. And thank you very much for that plug. Dan: Well, listen, this has been fantastic. Our guest has been Bill Greider of P4 Lean Strategy Consulting. Thanks so much for joining us, Bill. Bill: You’re welcome, Dan. It was a pleasure for me.